Thomas R. Nealon was born and raised in Scranton, Pennsylvania. 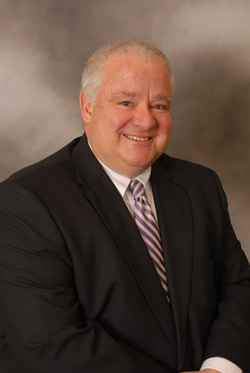 With a wealth of experience in the areas of Workers’ Compensation, General Liability, Social Security, and Professional Liability, Tom brings a proven track record of obtaining the best results for his clients. Tom has served his community and the legal system for over 25 years. Tom has acted as legal Counsel for the Lackawanna County Bureau of Children and Youth Services, Lackawanna/Luzerne County Joint Airport Authority, Lackawanna County Prison, and Lackawanna County Multi-Purpose Stadium Authority, the owner of the Scranton/Wilkes-Barre Red Barons, the Philadelphia Phillies/owner AAA affiliate. Tom’s vast Workers’ Compensation expertise and knowledge is unmatched. His career in Workers’ Compensation includes legal representation as Workers’ Compensation Counsel for the City of Scranton and Lackawanna County in addition to many self-insured businesses. Tom also has lectured for the Pennsylvania Trial Lawyers Association (PATLA) on Workers’ Compensation topics and served as an Opinion Writer for the Chairman of the Workers’ Compensation Appeal Board.